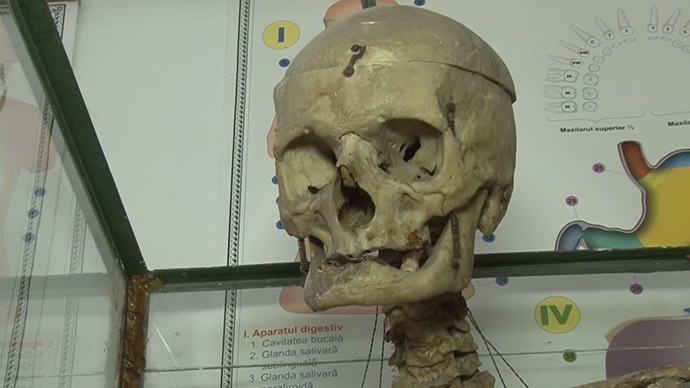 An elementary school in Romania has been told that it can keep using the skeleton of its former headmaster by health officials. Alexandru Grigore Poescu taught at the school for fifty years and donated his skeleton to teach students anatomy. Former headmaster and teacher Alexandru Grigore Poescu decided that after his death he wanted to give his skeleton to the Puchenii Mosneni Elementary School, to which he had also given most of his life, having worked there for 50 years. When he died in the 1960’s he wrote in his will that he wanted his skeleton to be cleaned and put back together so then it could be used to teach his kids. But health and safety officials on a recent visit to the school decided it might not be safe for children and sent it away to have it specially treated. Now the skeleton is back for a second time, this time in a glass case, to protect the children and to make sure they don’t mess around with it. Although the 14-year olds were admittedly a bit spooked by sharing their class room with a dead man, they soon warmed to the idea. “It helped us a lot in biology class, especially in the 7th grade, when we studied the human skeleton. Mr Grigore Alexandru Popescu donated his skeleton so that we can study biology better and for this we thank him a lot,” one student told RT’s video agency Ruptly. Another young lad said that it was like having “a friend” in the classroom. Another pupil said they’d do the same. 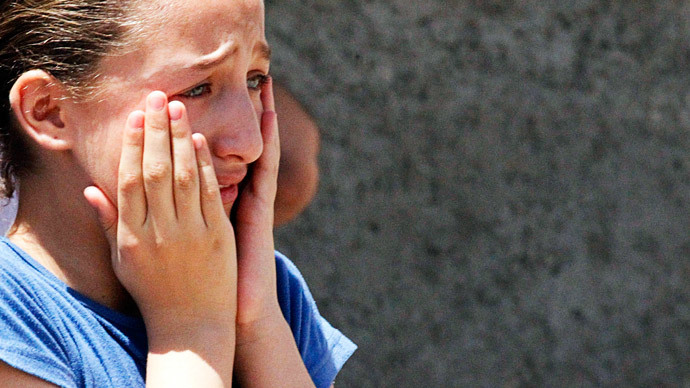 “If I were a teacher, I too would have donated my body, because the children could study better using a human skeleton than just a biology book,” they told Ruptly. Violeta Badea, the current head, said that looking at the shape of Poescu’s chin, you could tell he was almost certainly a decisive and strong willed person with a powerful personality, which she believed explained his devotion to the school and the children.